In December 2018, the all-new Sonos Amp will be available to custom installers for integration into smart-home systems. Amp is designed so the sound you love “bathes” you from every direction in crystal clear fulfillment of the senses. 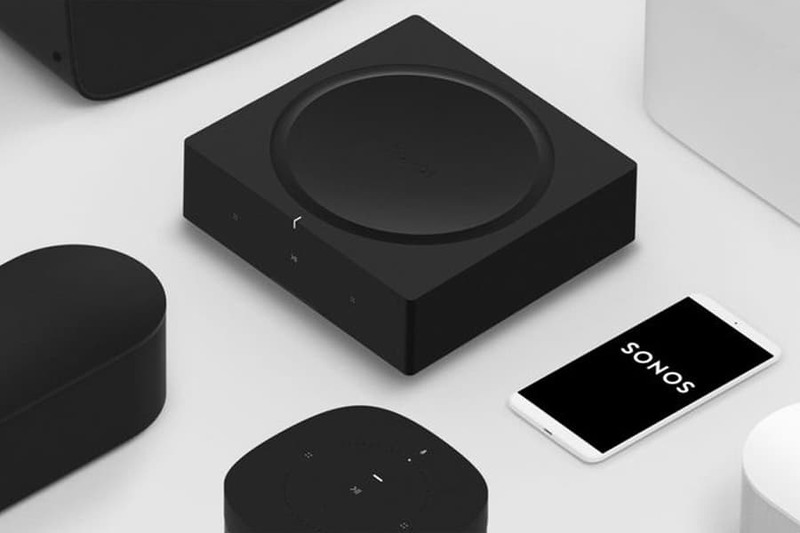 The new product offers Sonos idea of “sonic architecture,” based on concepts of colors, textiles, lines, and angles, the materials we use to design the interior aesthetic of a home. Amp is a way for you to create an environment that is uniquely yours. Amp was designed to interface with all of the speakers you’ve chosen that express the unique character of your home. The technological compatibility is not isolated to Sonos products and can be used with most in-wall and free-standing speakers. If you have vintage speakers that want to use, Amp will breathe life back into your antique collection, and at the same time create an up to date, top of the line way for you to experience music. Sonos has created a product engineered with “…twice the power of its predecessor, Amp can handle the demands of a 5.1 surround sound system, power-hungry vintage speakers, and outdoor speakers.” The Amp has the impressive sonic intensity to pair with speakers and subwoofers of any size. Sonos is not simply a speaker company. They are a software company that uses top of the line engineering and technology to create incredible experiences using speakers. Sonos eliminated typical Bluetooth issues with the new Amp. It connects into WiFi, so your music, movies, and other media are streamed with consistency, without interruption when the phone rings. Airplay 2 is also now supported, and older devices like CD players and turntables can be incorporated into your audiovisual design with Amp. Sonos products are compatible with numerous home automation integrators and opened up to “all potential partners” including Amazon Echo. The new Amp can be used with the Alexa assistant to turn on and off music, change lighting scenes, and adjust the climate in your home with the ease of voice control. Amp is a great addition to a smart-product savvy home. Fill your home with musical aesthetics using the speakers you love. The new Sonos Amp integrates perfectly in your automated space, bringing you the ease of smart-home living. Fashionable modern art for your home, with the HiFi function you know and trust from Sonos. “Responsive Living,” the term coined by Acoustic Architects founders, Aaron Flint, and Spencer Hauldren, is the concept of seamlessly enhancing the client’s unique lifestyle using smart home technology. Responsive Living allows you to interact with your space via touch input, voice command, and predictive automation, placing you in full control of your home.